Just when you thought you knew everything about your Nikon D7000... Simplicity is key, and making sure you can just grab and shoot is ideal. But, how do you get there? 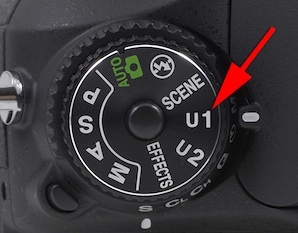 Learn a few simple User Settings tweaks and configure your camera for specific shooting situations so you can change to them quickly. Find out more! Nikonians Academy Director Mike Hagen tells us the next round of workshops in Pennsylvania includes some openings. 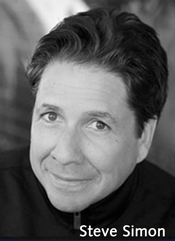 It's the last minute to sign up for our Philadelphia, PA workshops with Steve Simon. We have just a few seats available for Thursday and Friday's classes on the most current Nikon DSLRs, including the Nikon D800, D4, D600, D7000, and D7100. The two session in Philadelphia start on Thursday (April 25) with Master the Nikon D800 and D4 - In Depth 1. The Friday (April 26) workshop covers Master the Nikon D600, D7000 & D7100 - In Depth. 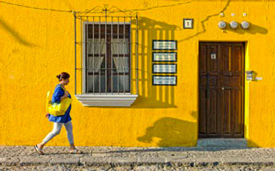 Michael Mariant is departing on The Ultimate Travel Photography Workshop this week throughout Europe and North Africa. We can't wait to see images from the participants and know that this journey on a cruise ship is going to be epic. We're already planning for next year's Ultimate Travel workshop aboard the Semester at Sea cruise ship and would love to have you along for the adventure. The month of May brings workshops to places like New York, NY, Indianapolis, IN, Phoenix, AZ, Page, AZ, Toronto, ON and Milan, Italy. Our workshops are diverse and cover the gamut from camera classes to Lightroom 4, to Studio Portraiture, to Monument Valley, to Street Photography and to Glamour and Fashion Photography. Some have already sold out, but we do have just a few seats available in destinations like Monument Valley and New York City. If you live in Europe or will be visiting Italy next month and want to learn fashion photography, then be sure to check out Giuseppe Circhetta's highly regarded workshop in Milan. Shoot for a whole weekend with Giuseppe and his team and learn how to approach to glamour & editorial shootings (production & postproduction). Giuseppe is one of the best and his classes continue to receive great reviews. Uncompressed video stands to hold a significant higher quality compared to compressed, allowing even resolution up scaling. However, with technology advancing so quickly, there's always the latest gadget that can do anything quicker and smoother than your previous toys. See what many Nikonians worldwide use, and why. We'll go in depth with formats, video standards, compression, and of course the external video recorders available for your camera. Let's have a look at what the D800 has in store! Nikonians Academy Director Mike Hagen reports the success of recent workshops has opened the door for calendar adjustments. Just a quick note to say how much I enjoyed and learned at your Lightroom 4 workshop in New Jersey last weekend. The day was extremely well planned, organized and executed - a first-rate program in every respect! I look forward to taking the second Lightroom 4 workshop when it is scheduled. Thanks for the great class!! I learned a lot. Too often at photo workshops the presenter is a great photographer who is a poor presenter and the workshop falls flat. You both a great presenter and a great photographer. Please keep up the good work! The course you gave was great. You gave a clear, well organized, and interesting presentation. I did not want to leave the room during the course so as not to miss one bit of information. I love photography and have taken some courses in the past but because photography for me is a hobby I can't devote the time and practice I would like to make the experience worthwhile. Usually I take a course and within one week I've forgotten most things. They seemed clear at the time but one to two weeks later the info is gone. Sometimes I will go for months without doing any photography so it is hard to take a learning experience and turn it into a reality. I have about 20,000 photos in iPhoto but I am beginning to lose control of the program. The program is slow and my file system while theoretically organized is becoming overwhelmed. 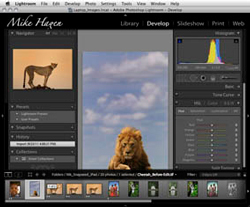 As a result of the day spent with you I am beginning to successfully migrate from iPhoto to LR4. I learned a lot and am now able to find my way around. In response, we've added more workshops to the schedule for Seattle and San Diego. Also, since we're completely sold out for our New York D600/D7100/D7000 workshop on May 6th, we've added another session on May 7th. 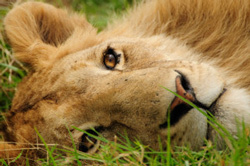 We just posted our 2014 Africa Photo Safari adventure, so feel free to sign up with you and your spouse for one of the greatest photo adventures you'll ever take. Don't forget about our upcoming portrait workshops with Greg Stangl in Phoenix (May 13) and Dallas (June 3). Both workshops still have seats available. Rick Hulbert's Urban and Street Photography workshop in Chicago is sold out and he has just a few remaining seats in his Toronto workshops later this May. Finally, we have just a few seats available for this week's classes in Vancouver, BC and Las Vegas, NV. Our friends at Think Tank Photo have just made three announcements that I thought would interest you. Check out your exclusive offers! Airport 4-Sight rolling camera bag. The Airport 4-Sight, Think Tank’s first four-wheeled roller, was released to popular acclaim. Between now and the end of April 2013, when you order one of these popular rollers you will receive $50 back! 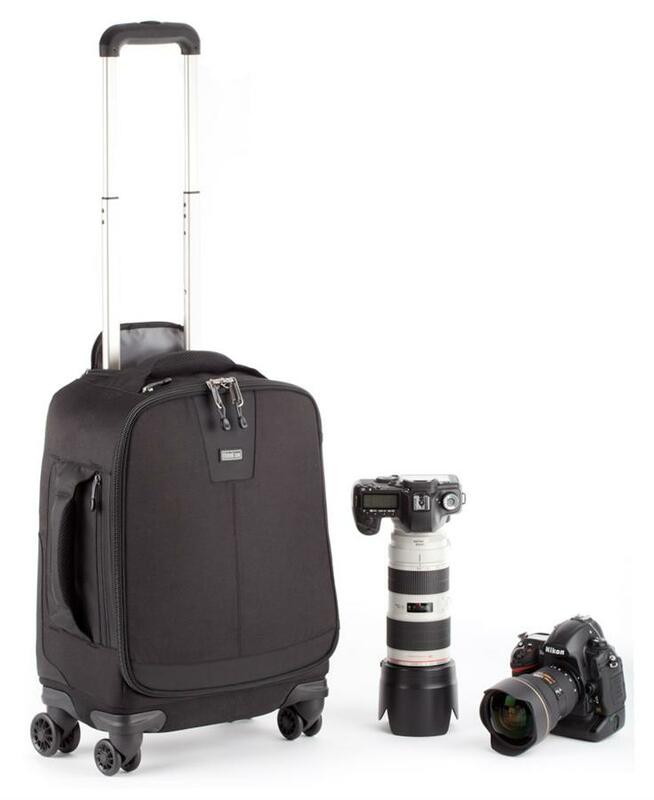 With the Airport 4-Sight Think Tank set out to design a more ergonomic roller to reduce fatigue and strain on traveling photographers. The result is the first four wheel roller designed specifically for photographers. It meets International airline carry-on standards. Weight has been dramatically reduced through innovative bag design and a strict focus on features that photographers identify as most beneficial. A lockable zipper provides security. Lucky 13! With this promotion, which runs through the end of April, every other day Think Tank will randomly pull the name of one lucky person who will win an Airport 4-Sight, a Sling-O-Matic 20, and a Change-Up multifunction belt pack. And that’s not all, in each prize package Think Tank will be including additional surprise gifts. Nikonians Academy instructors are leading workshops on the April schedule and preparing for next month. One of the many highlights on the May schedule is the debut of our newest instructor Greg Stangl and his Portrait Workshop series. 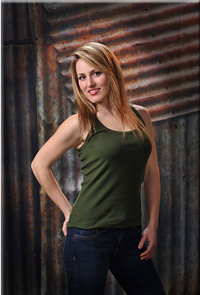 Greg's Secrets of Studio and Environmental Portraiture workshop will be going to Pheonix starting May 13th. In this 3-day interactive workshop you will be exposed to a series of lectures, slide shows, and lighting and posing demonstrations that will make your learning experience fun and meaningful. For a sneak peek at Greg's instructional technique, you can check out his video guide to portrait shooting using window light. There's plenty more in his 3-day workshop and if you can't catch him in Phoenix, he'll be bringing the same workshop to Chicago, Indianapolis and Richmond this year. Winston moves on to Page, AZ, for the Monument Valley and Slot Canyons photo adventure. 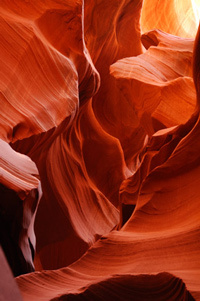 The 4-day schedule starts on May 14 and will lead workshop participants through Antelope Canyon, Horseshoe Bend and Glen Canyon. Richard Hulbert brings his Urban and Street Photography workshop to Toronto, ON starting on May 16th. This a 4-day session with a maximum enrollment of ten participants. While the illustrated lectures will give you the fundamental information you need, Richard will spend a significant portion of the workshop taking you out in the field for hands on photography. 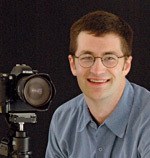 He will give daily constructive critiques of your own selected images which is a key part of the learning experience. The Glamour and Fashion Photography on Location workshop with Giuseppe Circhetta starts on May 18th in Milan, Italy. Shoot for a whole weekend with Giuseppe Circhetta and his team and learn how to approach glamour & editorial shootings (production & postproduction). You will experience outdoor and studio glamour photography with models: theory, shooting and photo retouch (weekend). Since Friday 5th of April 2013 we are on new servers. The maintenance window was kept fairly small. Thanks to all on the IT team who were involved in this milestone for the community! Nikonians is down for maintenance today 04th of April 2013 throughout 08:00 AM to 04:00 PM GMT. Forums and galleries will not be available in this period of time. Nikonians Academy instructors will be traveling worldwide this month, bringing workshops and adventure trips to the USA, Canada, Europe, the Mediterranean and North Africa. The April itinerary begins with Academy Director Mike Hagen kicking of his Masters series in Fairfield, New Jersey on Thursday (April 4). Mike will be in New Jersey for three days, covering Master the Nikon D800 and D4 - In Depth 1, Master the Nikon D800 and D4 - In Depth 2, Master the Nikon D600, D7000 & D7100 - In Depth and Master Adobe Lightroom 4 In Depth 1. Steve Simon will start his travels with his visit to Boston on April 7 to present the Master the Nikon D800 and D4 - In Depth 1 workshop. He will then travel to Vancouver, BC for four days of training (starting on April 17). His sessions in Canada will cover Master the Nikon D600, D7000 & D7100 - In Depth, Master the Nikon D800 and D4 - In Depth 1, Master the Nikon D800 and D4 - In Depth 2 and his Passionate Nikon Photographer Two-Day Mastery Workshop. He caps his April tour with a two day visit to Philadelphia (starting April 25) where he will present Master the Nikon D800 and D4 - In Depth 1 and Master the Nikon D600, D7000 & D7100 - In Depth. Winston C. Hall's itinerary begins on April 11. He will lead his Dallas workshops, presenting Master the Nikon D800 and D4 - In Depth 1, Master the Nikon D800 and D4 - In Depth 2, Master Nikon i-TTL Wireless Flash, CLS and Master Adobe Lightroom 4 In Depth 1. His next stop will be Las Vegas (April 18) where he leads his two-day HDR photography themed workshop featuring a ghost town and ghost mining camp in Nelson, Nevada. 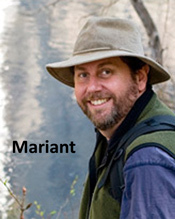 Michael A. Mariant will be leading his photo adventures in April, starting with the 4-day Yosemite - Spring Waterfalls and Spring Blooms trip on April 18. 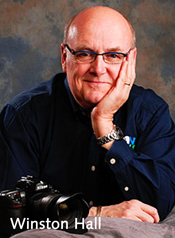 From the West Coast, he heads for Barcelona, Spain (April 26) to begin the Ultimate Travel Photography Workshop. Spencer Weiner will join him in leading the Nikonians group will board the MV Explorer headed for ideal photo locations near ports throughout Europe, the Mediterranean and North Africa.